The biggest Destination Management Company in Croatia and the region, Atlas DMC, with tradition since 1923, works constantly on the promotion of Croatia and its capital. Atlas DMC creates wide array of services, programs and products which satisfied all demands of individual, group and corporate clients. 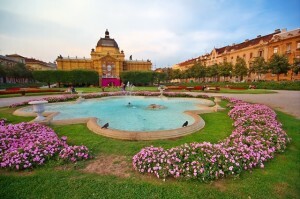 Their special focus is on the city of Zagreb. In September 2014 we were talking about Zagreb as meetings destination with Mrs Mirjana Sutic, Head of MICE Department, Atlas DMC. 1. 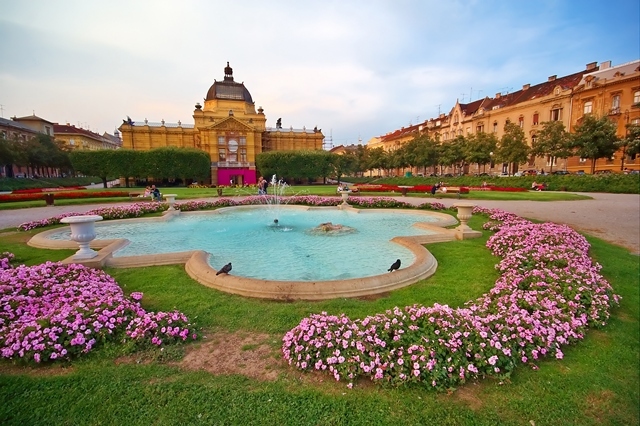 What makes Zagreb stand out from all other destinations? Although Zagreb is the business centre of Croatia, and therefore generates many business events, what makes the Croatian capital special are countless cultural and historic venues for spectacular events, a tremendous geographic position and a good transport connection, an enviable safety of the city, a relatively abundant event portfolio all year long and a highquality hospitality offer. In comparison with other world capitals, owing to its size and warm atmosphere, Zagreb enjoys the reputation of a small cosy city with a lot going on and good hosts, where our international clients keep coming back. 2. Can you single out some Zagreb offers, favorited by your clients? Apart from business as the major reason to stay in Zagreb, our guests most enjoy theme sightseeing, either panoramic tour by night, somewhat more active learning about Zagreb’s special sights by segway, or guided tours on a special blue tram rented for their group only. We try to offer all guests as authentic experience as possible when it comes to visiting Croatia, and we come across an exceptionally positive response to a programme including active participation of visitors in cooking traditional meals, or talking to famous Zagreb citizens we hire based on the interest of the group or the topic of the event. For instance, when our talented young musicians are hired to perform in a museum or at an atrium of a top restaurant in Zagreb, we convey a strong and memorable emotion to our clients and celebrate the strength of the small country with an unfaltering energy. 3. In September Atlas DMC is organizing a Congress for the biggest pharmaceutical company from Tunisia. Could you, please, tell us more about the upcoming event? We are proud to say that a respectable pharmaceutical company has chosen Zagreb and Atlas DMC as their host at this congress that will be fully decorated with Croatian colours. Zagreb being a real refreshment on the map of congress destinations is witnessed by the fact that the client, who has so far organized numerous events in almost all European capitals, following an site inspection, accepted all our proposals for extra activities, and was quite impressed with the hospitality, standard (in particular Halal standard demands) and the offer of Zagreb and its surroundings. Apart from the business part at one of the Zagreb 5-star hotels, participants will have a rich programme including visits to Varazdin and Samobor, tasting of the best specialties of the area, and enjoying a folklore performance of a local cultural ensemble, tamburitza players and Croatia’s top-class fiddlers and pianists. A special focus is on presenting the original Croatian heritage and culture, on a high level as appropriate for a group of doctors with a renowned pharmaceutical company. 4. Could you tell us about the plans or perhaps new offers you are preparing for the autumn congress season in Zagreb? In collaboration with our strategic partners, a wide network of our present and potential clients, we always have special offers in Zagreb and entire Croatia. These are mostly meeting packages targeted at client groups relative to their interest and past activities. We are preparing a wide range of team building activities based on charity work by company employees. Instead of pure fun, these programmes, in cooperation with local institutions, allow company employees to do a good deed and leave their mark in the lives of the most needy. We hope this trend will continue on all other destinations throughout Croatia. ”Thank you for your amazing creativity and positive energy. memories of a well organisedevent in a splendid venue. I am sure many of them will come back. I have also to express my personal gratitude for being able to work together with you in the organisation of our meeting. Everything went very well and our cooperation was very smooth. Next articleWHAT ARE THE PROBLEMS WITH PANEL DISCUSSIONS?